Compacted goat hair specifically designed to hold maximum eyeshadow pigment and created at an angle to place eyeshadow colour into the delicate tear duct area and onto the lids. An all over base colour on your eyelids. 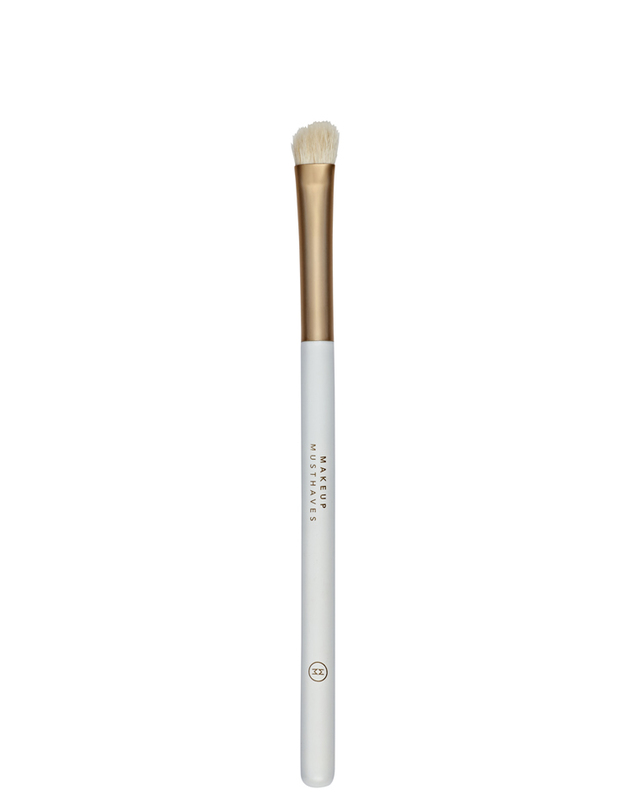 This is the largest of the eyeshadow brushes and was engineered to use with lighter base colours to allow the colour to be spread quickly over the lid. Press the tip of the brush into your eyeshadow and tap off excess as required, next, pat the tip of the brush over the eyelid. Angle the point of the tip toward the tear duct with the edge of the brush following the lash line. Patting is the best method of transferring colour. Repeat if needed. The eyeshadow brushes in this collection have been designed in large, medium, and small, not only for their different methods of application, but to also ensure there is a different brush for each tone of colour in your eyeshadow palette, helping to avoid ‘panda eyes’ ‘over washing the brushes’ and create your perfect eye look!